Vector image collection with various objects. 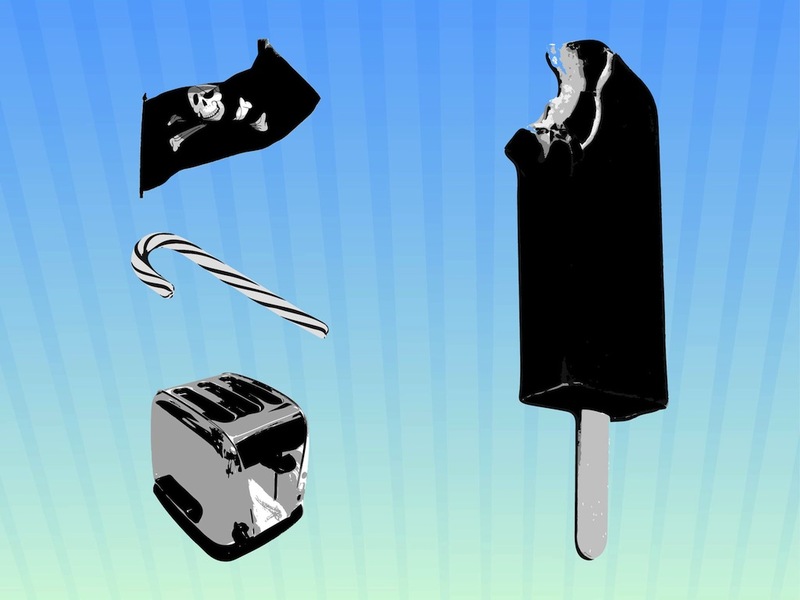 Black-and-white comic book style illustrations of a waving pirate flag, a candy cane, a metal toaster and a bitten ice-cream on a stick. Free vector illustration for all kinds of food, eating, kitchen, sweets, desserts, pirates, criminals and seaside projects. Tags: Candy Cane, Food, Ice Cream, Jolly Roger, Pirate Flag, Toaster.